Good news! For those of you who did not get enough to eat over the Thanksgiving holiday, it’s time for our holiday potluck! This time, Club Treasurer, Tina Hammond, has offered to host our holiday party and raffle at her Mesa home: 3245 Campanil Drive, Santa Barbara, CA 93109. Easiest way to get there is to take Los Positas toward the ocean. At the end, turn right onto Cliff Drive. Go up the hill toward Hope Ranch. At the gate, turn right onto Marina Drive, left onto Sea Ranch Drive, then right onto Campanil. For more info you can call Tina at 805-682-7297 or 805-895-1034 (cell). You can also email her at bhammond23@cox.net. All proceeds from the raffle go into our meager coffers to help pay for presentations and workshop in 2018. Happy Holidays everyone! It’s December again so it’s time for our annual Christmas potluck and raffle (our 23rd – I checked on the dates and found that we had our first winter potluck in 1995). This year the party will be at the house of our treasurer Tina Hammond and her husband Robert on December 9. Thanks to the Hammonds for hosting the event. It’s always a lot of fun and an enjoyable way to end the year, so please come, and bring a dish to share and anything bonsai-related for the raffle. Spice (that’s the plural of spouse) and family are welcome. See you on the 9th! Singing Da Dues Due Blues! Not really! For ONLY $35.00 per year (used specifically to meet expenses for the GVCC meeting room and two or three outside Tuesday evening presenters) you get to support the #1 bonsai club in all of Santa Barbara and Goleta! That’s only one less bottle of wine (or four if you shop at Trader Joe’s). It’s also time to sign up for the SPRING WORKSHOPS that begin in January. Four 3-hour sessions with a professional bonsai instructor dedicated to helping you design your trees for $120. There’s nothing like hands-on advice about pruning, shaping, wiring and displaying your trees. We have space for 8 participants in the Morning session and 8 in the Afternoon session, so please sign up early. Travis Goldstein was surprised when Colin Purcell told him he was our November presenter. But Travis quickly rebounded and… sent Colin in his stead. It’s great to be the boss! 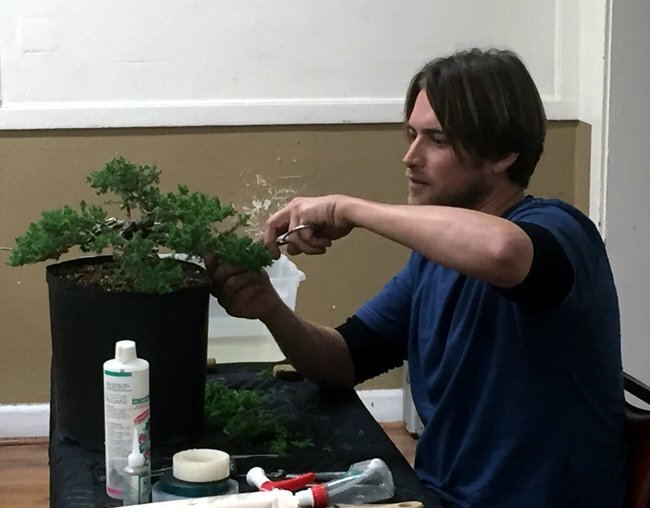 Colin met Travis at one of our meetings and visited his nursery, California Bonsai Studio in Thousand Oaks so often, Travis finally hired him. 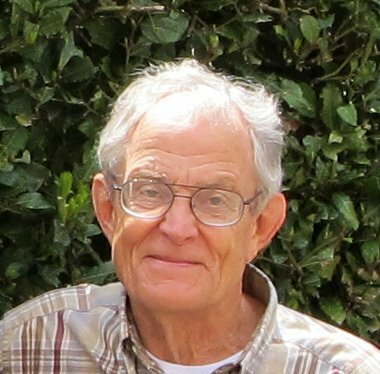 Colin now works fulltime for Travis, doing everything from keeping the website up-to-date and selling trees to weeding the back 40! So if you need any expert advice (or weeding) talk to Colin at one of upcoming meetings. Colin brought in an amazing amount of trees to show considering he has a small compact car. Good news is he won’t need one of those air fresheners you hang from your mirror for months. Most of the trees Colin brought were Foemina Junipers, which the nursery grows a lot of and Colin has pruned a lot of: “Nothing like doing the same thing over and over. You have to learn!” Colin also told us that foeminas want to be full, so one way to make them appear older is to get the branches close to the trunk. He indicated that it might look weird at first but “you have to make it look uglier before making it prettier.” Finally, about grafting Colin said a goal of his was to graft every type of juniper onto the same tree. I see a new species coming “Juniper Colinia.” Here are a few photos from Colin’s presentation. Oh, and Colin just told me at press time, that he sold this tree at the nursery! President Joe Goes To The Big Show! 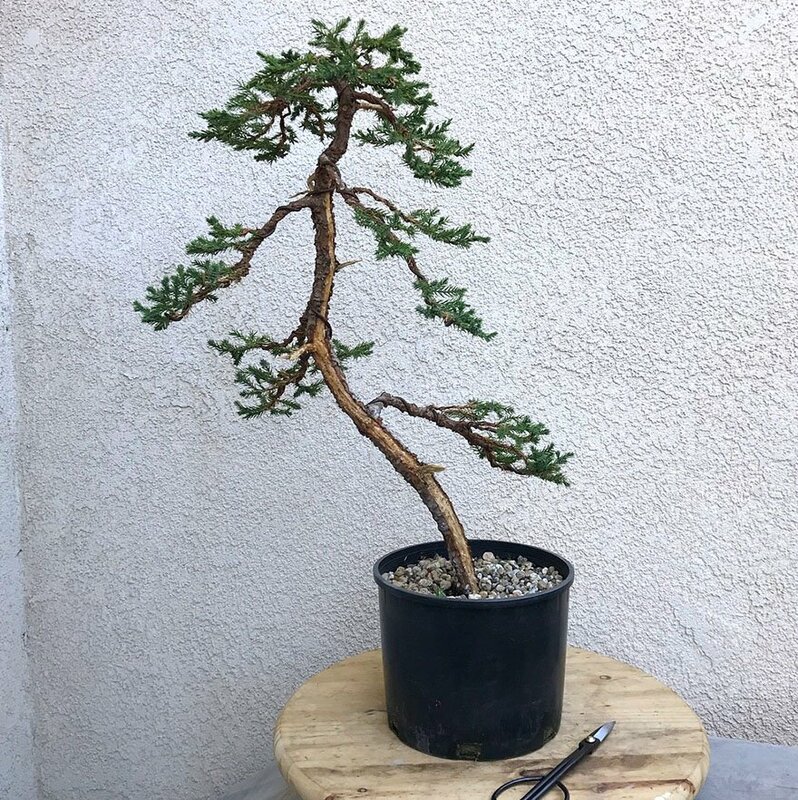 Though many of us wanted to go to the recent Golden State Bonsai Convention in Riverside and show, life got in the way. Fortunately, we were represented by Club President Joe Olson, who took a lot of photos of some great trees. Here are a few. I’ll post more if we have room next month. Way ta go Joe! 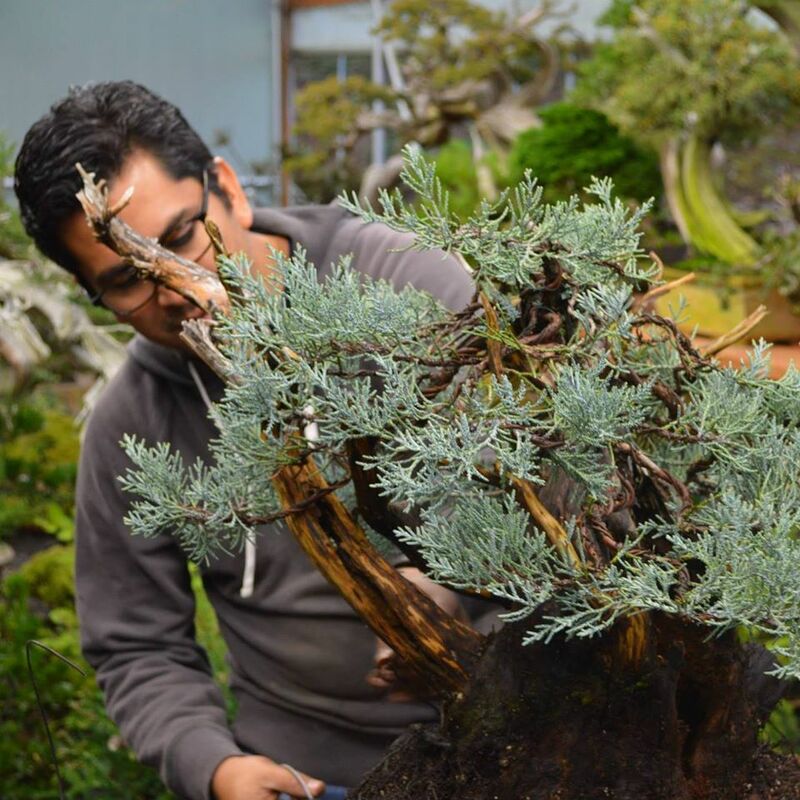 GSBF Bonsai Garden at Lake Merritt: The Annual Mammoth Auction and Sale Fund Raiser will be held at the Lakeside Park Garden Center, 666 Bellevue Ave., Lake Merritt. Saturday: Auction preview at Noon with Auction starting at 1 PM. Sunday: Vendor Sales start at 9 AM; Plant Sales start at 10 AM; Demonstrations start at 1 PM. 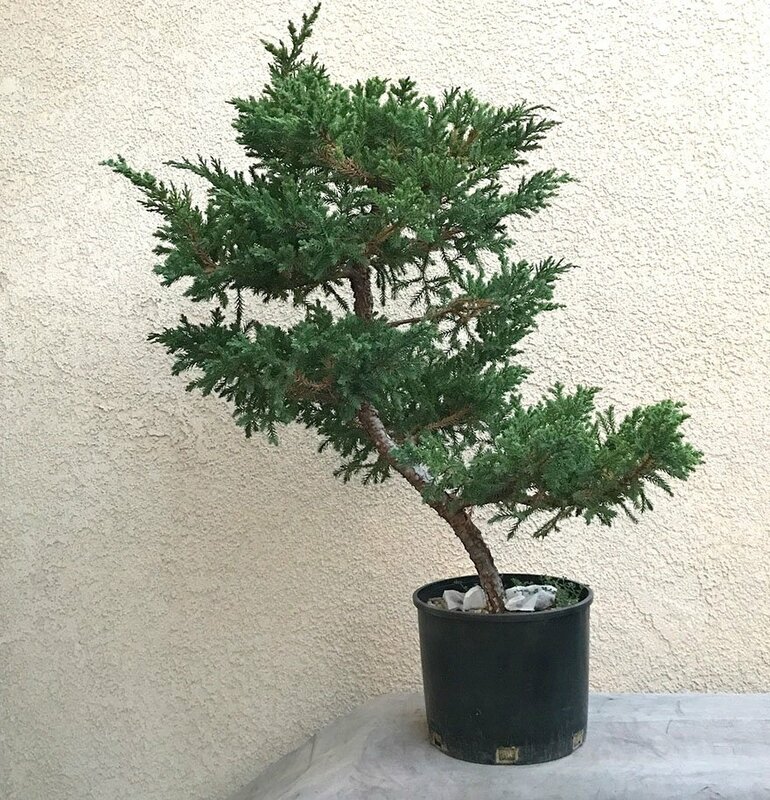 Everyone is encouraged to submit their bonsai and bonsai related items for consideration to be included in the Mammoth Auction at the earliest date possible. The Bonsai Garden at Lake Merritt will be open that weekend 10 AM to 4 PM on Saturday, and Noon to 4 PM on Sunday. Please visit the Garden and observe the many installments under the Garden Revitalization Opportunity (GRO) project. For more information or to sell bonsai, email bonsailakemerritt@gmail.com and visit http://gsbf-lakemerritt.org. 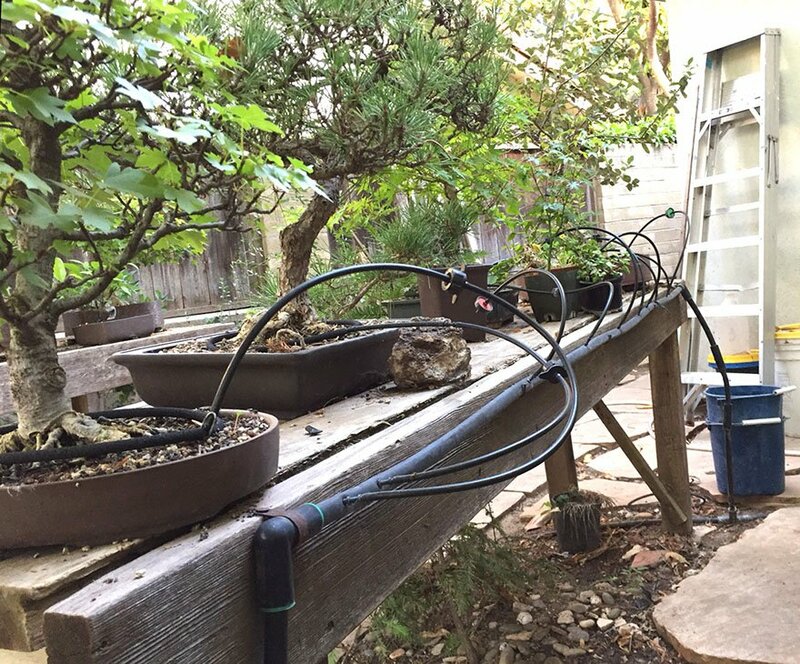 In September, Club Member Daniel Martinez shared some of Ryan Neil’s bonsai philosophies and wiring techniques. Though he was far from finished with the tree when time ran out, he has since done an initial design. Nice work, Daniel. It’s a bonsai now and no longer a shrub!